I'd be fine with both Sheppard or Electric Fields, the latter is more "unique" I guess so I feel like it would do better at Eurovision. On My Way is a cute radio-friendly song but I'm not sure if it would stand out enough, it sounds like something UK would send. The stream ain't really workin' for me. I wanted to watch Dami Im's performance but it's playing up all the time. I will probably go back studying but I will keep my fingers crossed for your favourites. I read that Electric Fields' song does contain lyrics in a Western Desert language/Aboriginal language (Oo). It would be super interesting to hear such sounds in Eurovision, for sure! Maybe one of these work? Hans Berlin Boy Wonder, omg, I can totally see him represent Australia at some point. Welp don't wanna be too salty now, congrats to her! Curious how it will do in Tel-Aviv, probably going to be one of those love/hate-entries. Last edited by flopho; 09-02-19 at 13:18. UK tried with an uptempo last year. Didn't really work. Storm is also very much a mid tempo song. I want something different from the UK. Something that's not predictable. Didn't do Netta any harm last year. I did listen to the studio version of Zero gravity on YouTube last week and wasn't sure what to think. 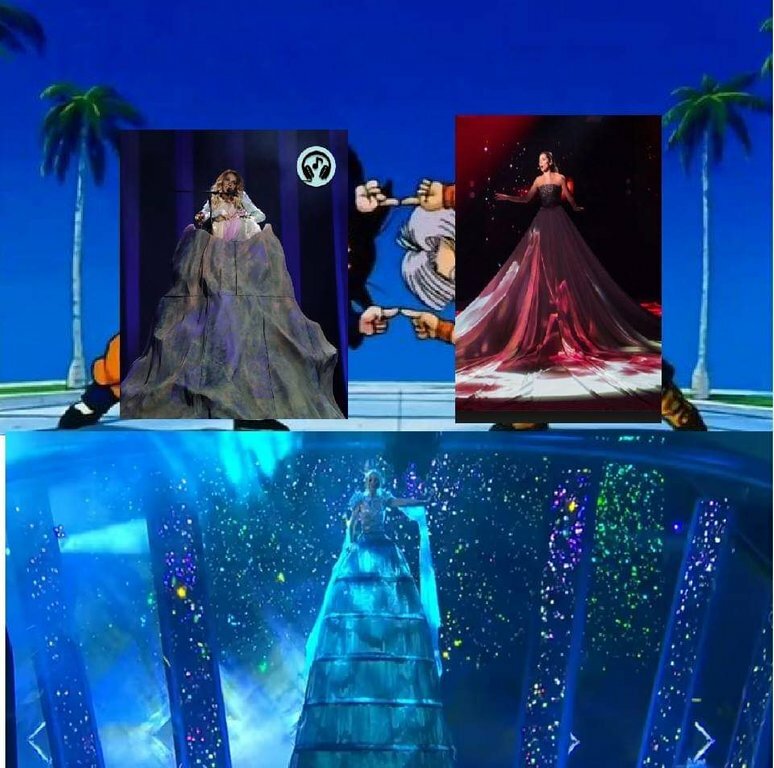 After seeing the live performance it's sort of clicking but the staging is too similar to Estonia last year with the big dress. I vaguely remember Sweden sending some opera/dance hybrid about 10 years ago which i really struggled to like. Who knows how Australia will fare this year. Makes me wonder what would happen if they didn't qualify from their semi final, would Australia pull out from future contests? That'll never happen. Although that said i quite like Bigger than us but i'm gonna wait until the revamped version (assuming there is?) before i decide how much i like the song. Last edited by JakeP; 09-02-19 at 13:58. I know Kate Miller-Heidke's music for more than a decade now, but I was obviously more into her music back when she was a hipster indie/pop singer-songwriter, not a fake pop/opera diva. Can't say I am too excited about this entry, to be honest. Last edited by flopho; 09-02-19 at 15:10. Although that said i quite like Bigger than us but i'm gonna wait until the revamped version (assuming there is?) before i decide how much i like the song. This version is perfect. I hope they don't change anything. That Australian thing is just down right unlistenable. Mahmood won Sanremo and confirmed his participation for Italy! Yeah just finished catching up on the Australian Preselection earlier... Sheppard and Courtney Act had great catchy choruses, for the more 'unknown' singer's Leea Nanos had a very dance eurovision track, I think though she didnt have the vocal strength to push the big moments though, that could come with more experience and only 16 too, although she had good stage presence. I also loved seeing Ella Hooper (Killing Heidi) and Tania Doko (Bachelor Girl) back on stage. Electric Fields were also interesting. Kate's is also similarly on the different side to what we've put forward so far, It'll definitely be interesting to see what it does, will the comparison to Estonia last year affect it's reception (unless she does something completely different with the staging come actual Eurovision) or could it be one of the performances on more of the 'bats**t quirky' side that could become popular We'll have to wait and see. Montenegro is bad as usual.